Inhale. Exhale. This gesture alone calls attention to the diffusion of its warm air into your body as you transport from one place to another. A moment of peace transcends through the stratosphere to tell you that everything is going to be alright, because now, you’re operating from another world. For many bouts of transport, it can be quite ceremonial to prepare for travel. From pioneering astronauts to autonomous ants, we all prepare ourselves in some aspect before migrating from one location to the next. Some may perform the same routine each day, others may let spontaneity lead the way. Along this journey, tokens are presented to you that can mark your memory, and bring you joy. It’s difficult not to pledge allegiance to that one thing when it can eliminate the other options from the queue. If you imbibe on cannabis with any frequency (be it for special occasions or every other commercial break) a toolkit to smoke with is key. When traveling, it’s an even more important consideration. For me, this usually entails: my favorite lighter that holds more information than the fly on the wall, rolling papers, and positive intentions. 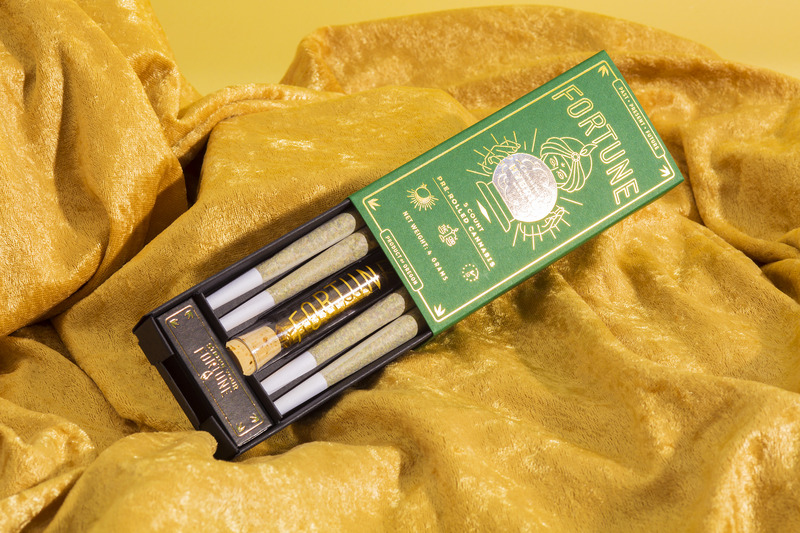 As luck would have it, Fortune, who has consciously cultivated high-quality, Oregon-grown marijuana, is debuting a new hybrid pack that has you covered with the introduction of their Hybrid Pack of 5 pre-rolled joints (one wrapped in 24k gold), matches, and a Fortune for you on the back. There are plenty of modern tools that claim to enhance the experience of smoking, but it’s hard for those who have smoked since their primitive years of their youth to dishonor the experience of smoking a well-rolled joint. The ritual of smoking a joint is ceremonial, textural, highly individualistic, yet communal. No joint is the same—each one carrying its own characteristics with marks evident from its maker. 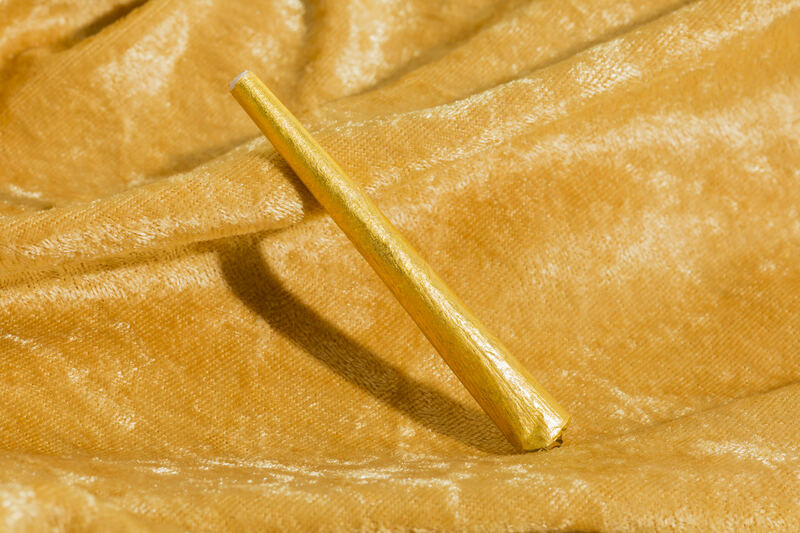 The paper, whether or not it has a crutch, how thick it is, how big it is, and what strain was used were all decisions made during the process of making this joint. Same way as decisions would be made on what to pack in your suitcase; where are you going? You can only fit a certain amount of items in this suitcase, so only fit the best of what you have. The joint is similar, which is why choosing the best of what we have is important in our travels from one experience to another. During the 1600s, rolling papers were initially made from palm and tobacco leaves. At this point, rolling papers were filled with chemicals and would not burn clean. 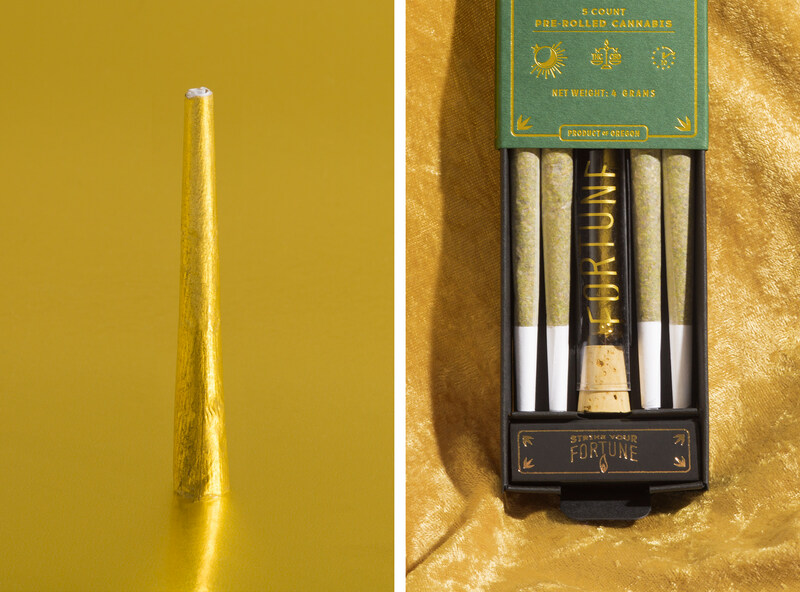 Now, rolling papers come in 24k edible gold, pre-rolled by the pack where the ceremony of smoking can now have a dash of luxury and Fortune. Everything you’ll need for your trip to meet the next version of you. High-quality, Oregon-grown marijuana, debuting a new pack that has you covered with a Hybrid of 5 pre-rolled joints and a box of matches. All you need to get rollin’.